Welcome to your personal Powerhouse for innovative ideas. Merging latest technical developments in stainless steel processing with the classic craftsmanship: this is the claim of Thomas Hammer Stahl-Manufaktur, based in Sinsheim in the Rhine-Neckar district of Baden. As a medium-sized craft enterprise of stainless steel processing our strength lies in an individual consultation and innovative approach to solving your problem. We offer the same individual treatment to all our customers – from jobs in a private home to large projects such as hotels and company buildings. All aspects of design and production done in one stroke, ensuring perfect harmony and efficiency. From project planning to construction and stainless steel processing to professional implementation on site – in us you find a partner combining all these skills and capacities under one roof. The comprehensive company-owned machinery enables the team of Hammer Stahl-Manufaktur to respond flexibly to the wishes of our customers. We also support colleagues from our industry with design engineering as well as spiral, rolling, bending and milling work in stainless steel processing. Winner in the category “stairs and railings”. Unusually designed and innovative balcony railings for a hotel in the Therme Erding – the worlds largest spa. The balconies of the “Hotel Victory” perfectly complement the interior design, which makes you feel like your sleeping in your own yacht. The first drafts, the design engineering, as well as the manufacturing and assembling processes were completed by Hammer Stahl-Manufaktur, Sinsheim. From Garage to Grand Factory: In 1994, the company was founded under the name of Thomas Hammer Stahlverarbeitung – and began production in a private garage. Only one year later, with successful expansion, the move into a 250 square meter production facility for steel processing was due. Since 2003, Thomas Hammer Stahl-Manufaktur has been based in a modern production hall with a generous exhibition and office space in Sinsheim in the Rhein-Neckar district, growing reputation. Innovative ideas in 3 dimensions: We have been manufacturing railings, canopies and gates for private builders, since the very beginning of the company. However, over time, staircases made of stainless-steel as well as glass have become our main focus and area of expertise. Since 1996, we have been working with company-owned, high-performance machinery for steel processing and metal construction, which has significantly expanded our production capabilities. We created our designs using CAD software from the very beginning of the company and since 2008, Thomas Hammer Steel Manufactory has made the transition to designing in 3D. Thus, we offer our customers a perfect, spatial vision of the finished product in steel processing and metal construction. Works of art in steel processing: The 450-square-meter glass roof at the DFB in Frankfurt is a spectacular large-scale project by the Thomas Hammer steel factory Sinsheim from 2002. But also, projects such as the “Skywalk Sculpture” at Cologne-Bonn Airport or the “Hammer Airplane” inspire our creativity and demand our technical know-how in steel processing and metal construction. Today, the gigantic bench in the form of an airplane sits in the center of Sinsheim, with a view of the Elsenz river, inviting pedestrians to linger and relax. 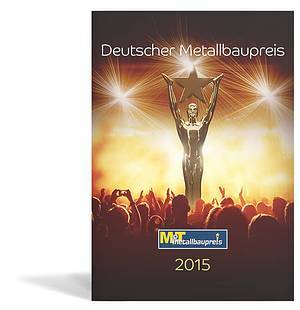 With the “German Metal Award 2015” in the category “Stairs and Railings” we were honored for an innovative balcony railing of the “Hotel Victory” in the Therme Erding. The balconies of the “Hotel Victory” perfectly complement the interior design, making you feel like your sleeping in your own yacht. 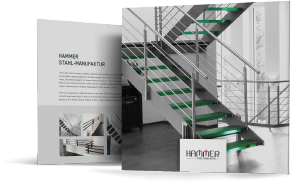 Visit us at the Thomas Hammer Stahl-Manufaktur in Sinsheim, Rhein Neckar Kreis – Your specialist for railings, stairs and canopies. We would love to support you in your endeavors!